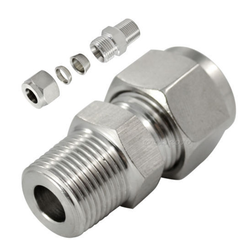 We are leading name in manufacturing and exporting of wide range of Tube Ferrule Fittings. Our company has earned accolades in offering Tube Ferrule Fitting to the clients. This product is constructed and engineered by skilled and dedicated workforce under the strict observation of professionals using quality approved basic material and advanced technology. Offered range undergoes a series of quality checks on defined parameters to ensure flawlessness. Tube Ferrule Fitting is extensively demanded in water, gas, chemical and allied industries for fitting and fastening applications.